Our Brand New Bespoke Full-time Course in Makeup and Beauty will give you the qualifications, knowledge, skills and confidence to work in the industry or open your own business. 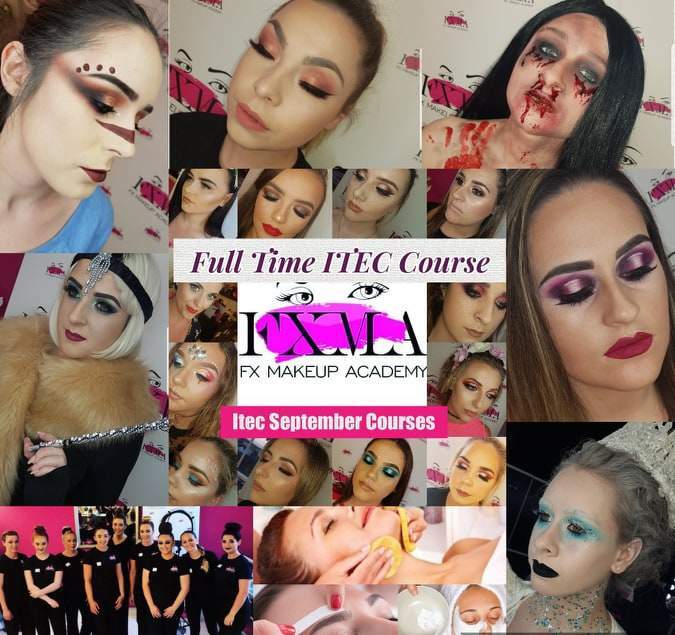 Our full-time course consists of a ITEC Diploma in Fashion, Media and Theatrical and SFX Makeup and ITEC Beauty Specialist Certificate. This course will run over 4 days a week from Monday to Thursday in our FXMA Blanchardstown Aademy. We also offer amazing payment plans on our courses, secure your place with a deposit today and payments from as little as €50 a week !! !